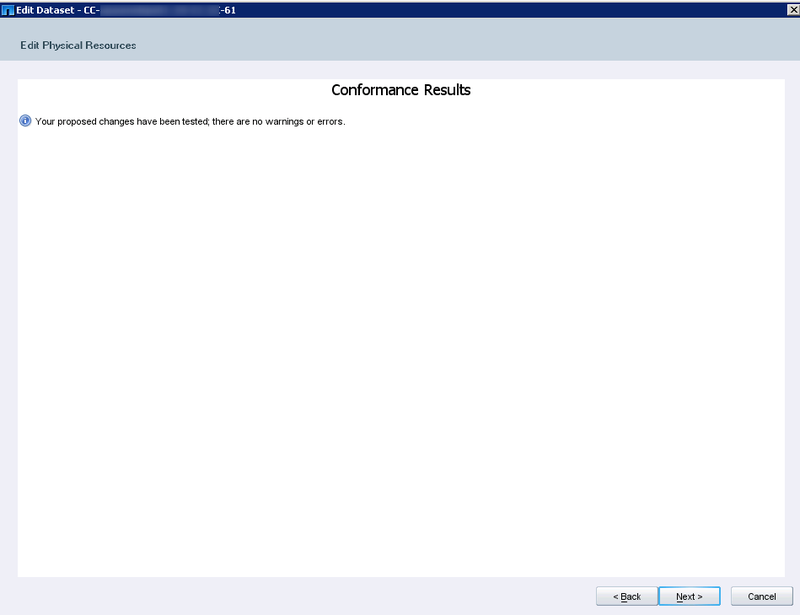 Before beginning this procedure open a connection to the OnCommand server and open the DFM console, the onCommand manager and NetApp System Manager 3.1. System Manager will give you insight into the volumes and what snapshots have been completed. DFM will show the backup datasets and their relationships and onCommand manager will provide some further details on capacity etc. You may find within System manager that a snapshot has not aged and notice the snapshots on the volume are much older than the other vault copies that are continually updated as part of the SnapProtect subclients and DFM relationship. You need to find the vaulted volume on the backup storage controllers, in this case the volume is lore_2. 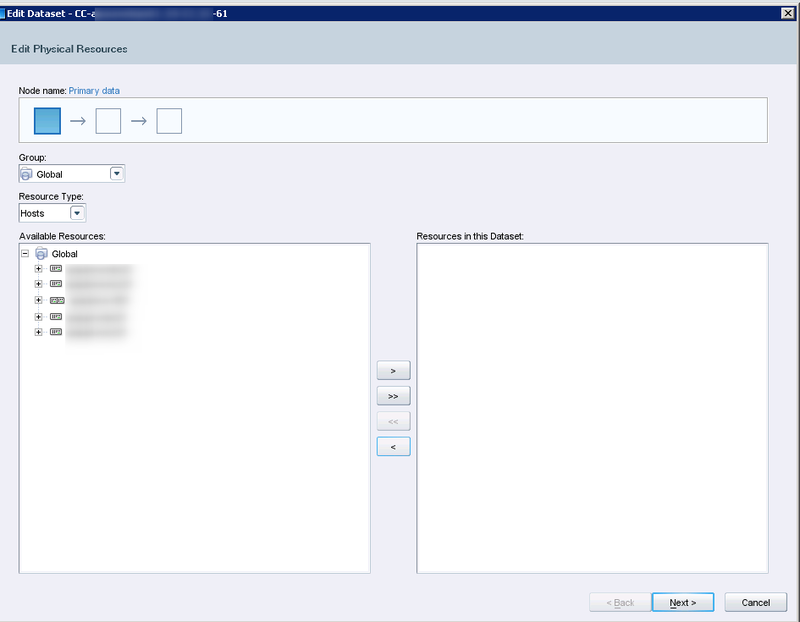 If multiple vault copies have been created the backup controller will have created multiple volumes and will normally append _1, _2 or _3 and so on. A new increased digit gets added as a suffix to the volume name. Another example is a volume called backup but on the snapmirror location it’s called backup_5. Get the ID of the dataset. In this example ID:22295. Now we need to get the vault relationships. Remove the volume from the primary physical resource, the secondary and the mirror resources. The screenshots below only show the primary data being cleared. Do the same for Backup and Mirror. Log onto the storage controllers via SSH. In this case I have two controllers, one that is handling snapvaults and one that is handling snapmirrors. Please note that if you only have a snapvault or a snapmirror then just follow those steps as the other ones will not be relevant. I’ve marked out which controller the commands should be executed on. Run the command: snapvault status. You’ll notice the the lag time is very high. This will help to confirm which snapshot volume you are working with. Run the command: snap list <volumename> e.g. snap list lore_2. 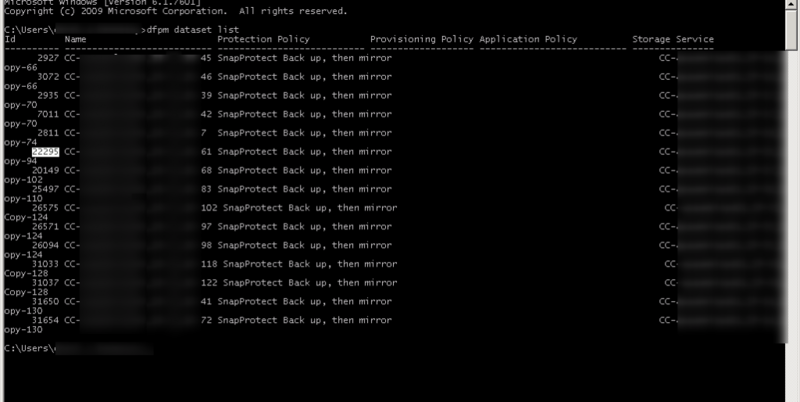 Any volumes that are still locked by either snapmirror or snapvault will need to have the process disabled. Copy the full name of the qtree path so you can run the snapvault stop command. Break the snapmirror by running the break command referencing the controller and volume name. Paste the contents of the text file in. Press Enter and then Control+C. This will save the file. Run the rdfile command again to ensure that everything looks correct. The new version of the file should have no reference to the volume you want to remove. Next you need to remove the snapshots on the volume here also. I didn’t grab a screenshot at the time but it would not allow me to remove the base snapshot as it was in a busy state. It has (busy, snapvault) listed at the end of the snapshot name. None of the commands, even the –f command would allow the snap to be deleted. 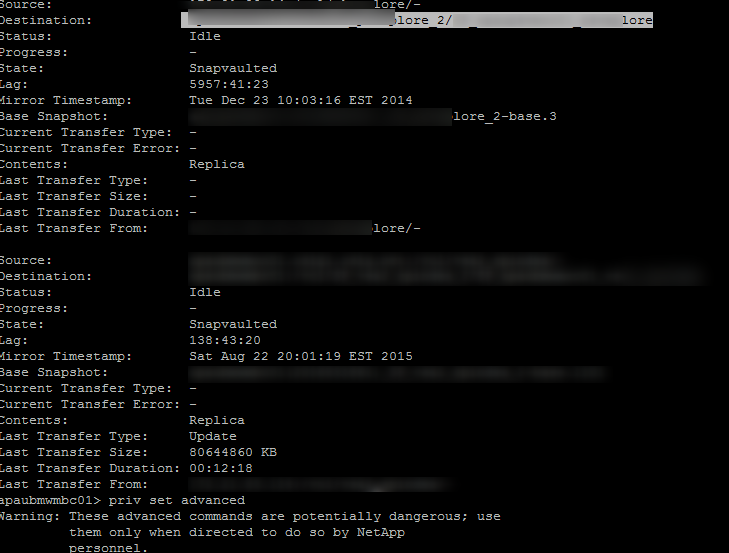 Run the command: snapvault status –l plore_2. This shows that the base snapshot was idle but it still would not allow the snap to be deleted. To stop the snapvault enter the advanced privileges using priv set advanced. Then run the snapvault stop command referencing the destination from the previous snapvault status –l command. Enter yes to stop the snapvault when prompted. This step is similar to that carried out on the snapvault controller. Now you can remove the snapshots as per the earlier snap delete command. 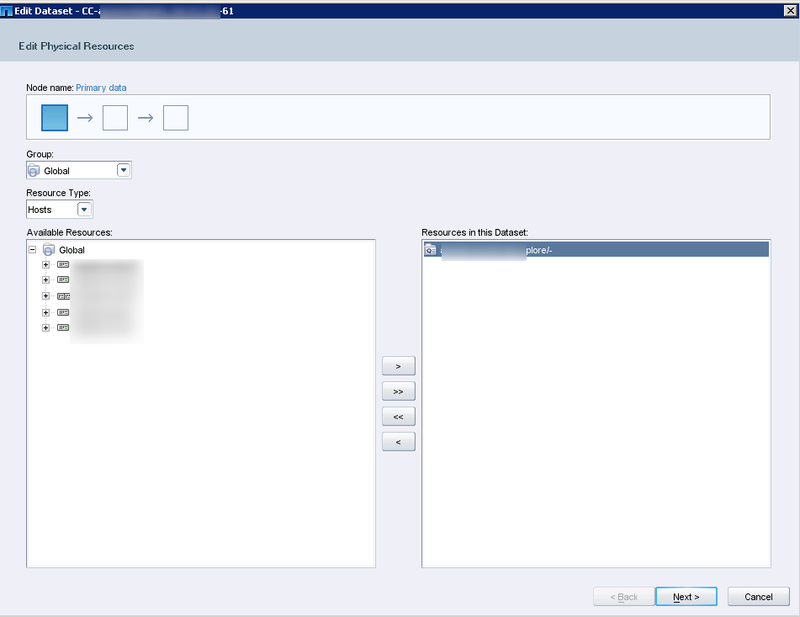 Go back to onCommand System Manager and refresh to ensure the snapshot copies have cleared for the volume. Do this on both of the backup controllers. Once the snapshots have been deleted you will see the usage % coming down as the system clears itself up. 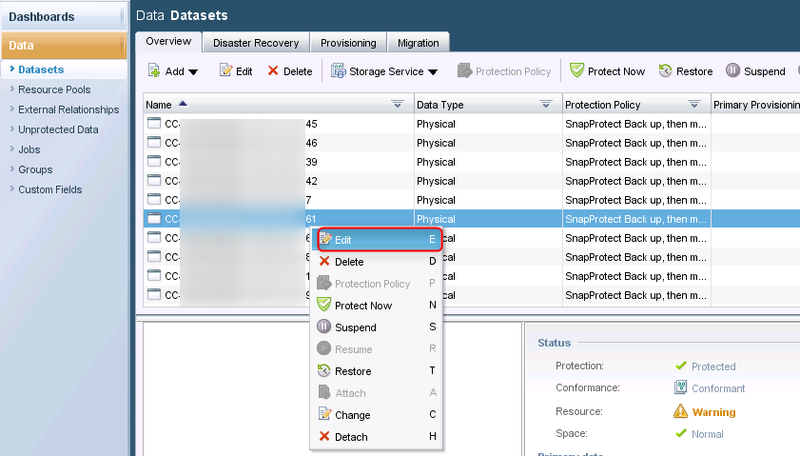 Once the volume on backup controllers have no more snapshots and the space utilized is 0% the vaulted volume on backup controllers can be taken offline and deleted. It will take a few hours depending on the size of the storage as to how quickly the volumes are cleared up. 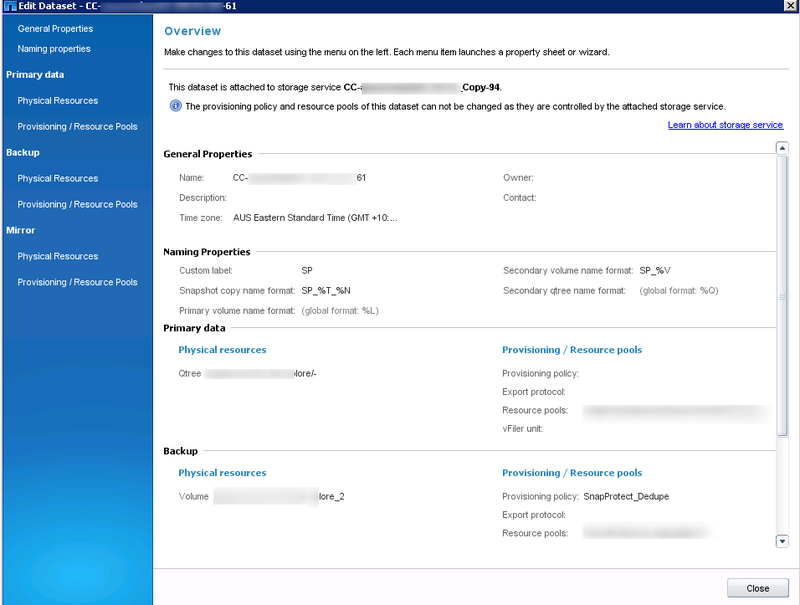 This entry was posted in Netapp, SnapProtect and tagged DFM, NetApp, Orphaned Snapshots, SnapProtect, Snapshots. Snapshot Management. Bookmark the permalink.